On Friday 25 November, the day after Thanksgiving in the United States (called Black Friday), the Record Store Day people are making a whole load of special releases available for a limited time only to independent record store retailers. This is not the same as the official Record Store Day – which stands as a special and separate day where independent record stores are encouraged and supported. On that day they also offer for sale a range of very special and limited vinyl record releases (see below for some previous Beatles-related issues). The 2011 Black Friday event is a separate and additional day to do the same thing though – and artists, bands and many record companies have got behind it in a BIG way. 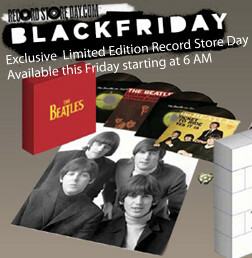 On Friday 25 November there will be two releases of interest to Beatles collectors. 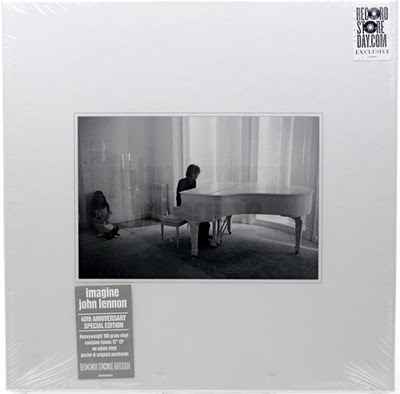 The first is a limited edition box set of four Beatles vinyl 45 singles, and the second is a 40th anniversary vinyl edition of John Lennon’s “Imagine” LP. The Bull Moose record store in Portland, Maine has maintained a terrific up-to-date site detailing all the releases, including the two Beatles-related ones. They’ve also posted two lengthy videos highlighting some of the key releases for Black Friday, which includes collectors items from Janis Joplin, Bob Dylan, Pink Floyd, the Doors, Miles Davis, Nirvana, and the Kings of Leon – to name just a few. Both these items will be strictly limited and released on Friday 25 November. 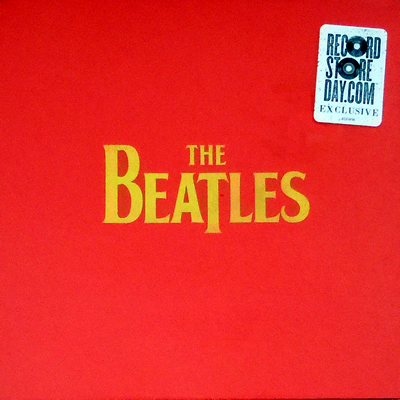 Previous Record Store Day Beatles or Beatles-related limited editions include the Beatles “Paperback Writer” single, George Harrison’s “All Things Must Pass” triple LP, and the John Lennon “Singles Bag”, all of which are really nice limited edition collectors items now. You can find more details about the Black Friday releases at the official site here. This entry was posted in Beatles, John Lennon and tagged Beatles, Black Friday, John Lennon, Record Store Day by beatlesblogger. Bookmark the permalink. Hey, thanks so much for posting the video. Happy collecting! No problem. Thanks for putting up the two videos on the Black Friday releases. They were comprehensive and fascinating to watch. Such a wide range of material being specially released, and not just Beatles-related! Like your store website too. If I lived in Portland I’d be a regular visitor.